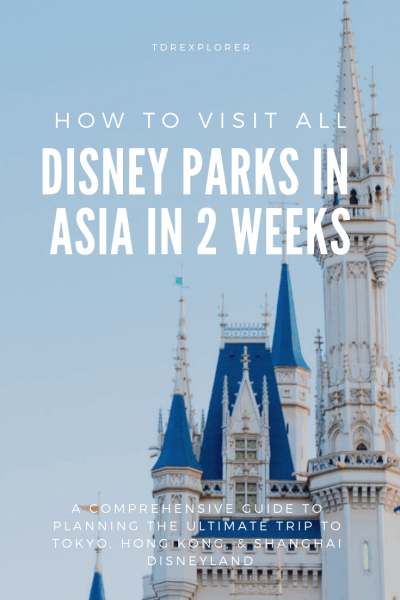 Want to visit all the Disney Parks in Asia in 2 weeks? I’ve come up with an ideal itinerary to visit these unique Parks in a short time frame based on my personal experience. You’ll learn how to make this happen and take in sights of the cities of Tokyo, Hong Kong, and Shanghai. While my itinerary won’t work for every Explorer (that’s you! ), I give enough information to help you make informed decisions to fit your preferences, budget, and schedule. One thing to note, you’ll need about an extra day on either end of your trip. This is to take into account travelling from home. You’ll have to plan for about 16-days total, but 14 of those are living your dream vacation. 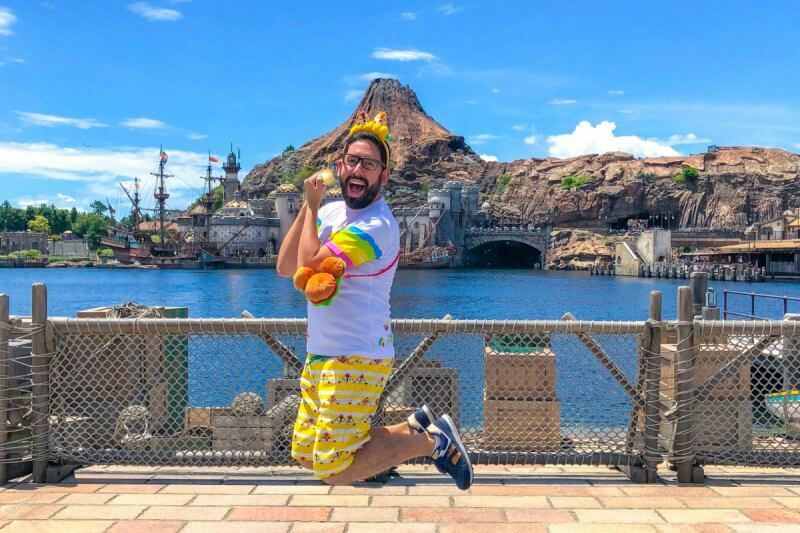 Alright, this is how to visit all the Disney Parks in Asia! 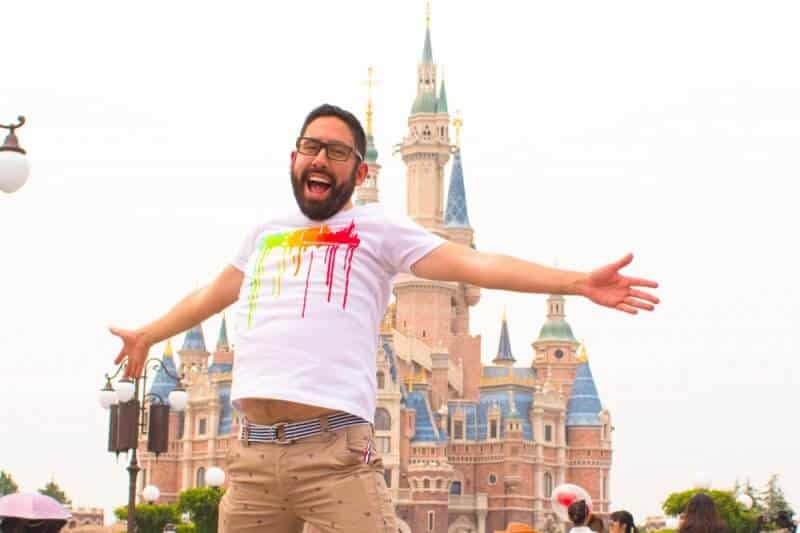 Read up on Chinese travel visas so you can look as happy as this once you get to Shanghai Disneyland! Before we discuss how to visit all Disney Park in Asia, there are a few things for you to know. The first (and most important) is to check the visa requirements for Hong Kong, Mainland China (Shanghai) and Japan. These requirements are different depending on what country you hold a passport for. Since you’re travelling through three different countries, you don’t want any surprises. For most Explorers, you’re able to get a tourist visa on arrival for Hong Kong and Japan without doing anything in advance (it’s stamped in your passport at immigration). The only snag is Mainland China (Shanghai), you need to apply for a tourist visa in advance or take advantage of the transit visa. For simplicity sake, I’ll assume you’re using the transit visa to travel to Shanghai. 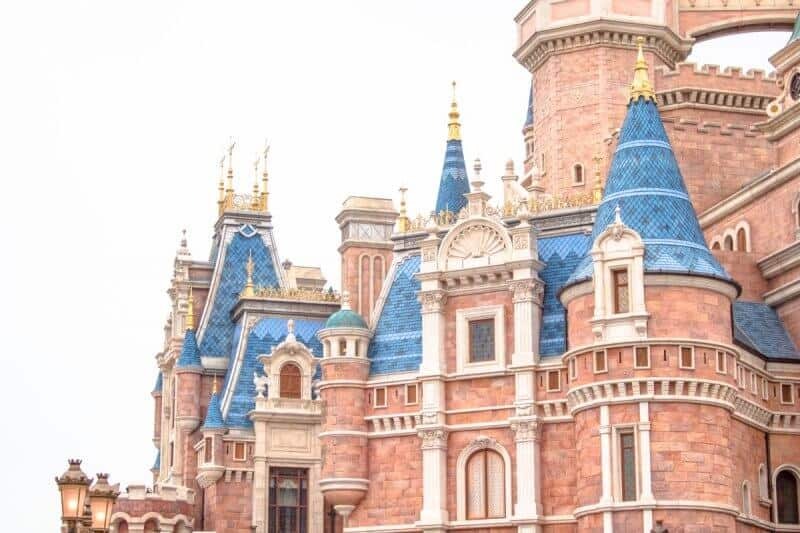 I highly recommend reading the travel visa part of our Shanghai Disneyland trip planning guide for detailed information. Now that we have the most important topic covered, let’s discuss your flights. That look when you know you got a cheap flight to get to Tokyo! Always a fantastic feeling saving money for your Disney Parks in Asia trip. Flight costs vary depending on which part of the world you’re coming from. The most expensive leg of your trip is getting to the first stop and then home. Travel within Asia is reasonable and you’re able to snag good deals if you’re not picky about who you fly with (Hong Kong to Shanghai is about US$170 one-way or cheaper with a sale). I like to keep things simple, Google Flights is my preferred way to price international flights. I recommend subscribing to Scott’s Cheap Flights. They offer a paid and free mailing list (I’m on the paid version), where you select your favourite airports (input the ones I listed above) and you’ll get emails to alert you of cheap flights. I use this to keep an eye on when deals or mistake fares pop up. Use a combination of Google Flights, Momondo, and the airlines website to book your flights. Before paying for your flights, you’ll need to decide when to visit. Let’s discuss that next. Aside from booking flights, deciding on when to visit the most stressful part. My best piece of advice is not to stress too much. The fact you’re reading this guide means you’re more than ready. With that said, there are more ideal times than others. Taking into account weather, crowds, and seasonal events at the Parks. Avoid Chinese New Year (end of January into February), as this makes the Parks in Hong Kong and Shanghai unpleasantly busy. While it doesn’t affect Tokyo Disneyland too much, you’ll notice an increase in guests from China. Keep in mind that the exact dates of the Chinese New Year holiday change every year. Not to mention it’s winter in this part of the world, so you’ll have to dress accordingly. I also recommend not visiting June through August as the humidity and heat are almost unbearable in Hong Kong, Shanghai, and Tokyo. For the most comfortable weather, April and May are the most ideal months. While Hong Kong is still rather hot in May, it’s better than the summer. The biggest thing is to avoid Golden Week in Japan (end of April into the first week of May). You’ll get to see the spring events at all the Parks, which are always cute. If you’d like to experience Halloween, Christmas, or both, then the end of October into November is another time to visit. The easiest is Halloween at Hong Kong and Shanghai followed by Christmas at Tokyo Disneyland. The reason for this is because the Halloween events end around the first week of November for Hong Kong and Shanghai (Tokyo always ends after October 31). Christmas begins the first week of November in Tokyo, while Christmas doesn’t usually start until mid or end of November at the other two Parks. The first stop of your trip is the scenic Hong Kong Disneyland. This is the easiest Disney Park to navigate and conquer which makes for a relaxing way to start. I recommend having HKD$1000 (about US$60) per adult per day in cash. Use your credit card to make bigger purchases at Hong Kong Disneyland. While most places at Hong Kong Disneyland take credit cards, once you’re outside the Resort not all places accept credit cards. Taxis and recharging your Octopus Card (more on that below) are usually cash-only. Pro Tip: When using your credit card in Hong Kong you’re asked if you want the charge in Hong Kong Dollars or the currency of your card. Always choose Hong Kong Dollars to potentially avoid foreign transaction fees (check with your credit card issuer first). Aim to land early to late morning. This way you have most of the day to rest and/or enjoy the Park for half a day. The Park usually opens around 10:00. Assuming you’re staying at a Disney Hotel (I recommend the Disney Explorer Lodge), you’ll be able to get back to the hotel from the Park easily. Getting to the resort from the airport is quite simple. Take either a taxi (about HK$200 or US$25), Disney Shuttle (if you’re staying at one of the Disney Hotels), or a mixture of the Airport Express and local train. Don’t worry, I have it all laid out in our guide for you. One of the first things you see once you arrive at Hong Kong Disneyland! After a good night’s rest, you’re ready for a full day at Hong Kong Disneyland. Follow my ideal one-day itinerary to make the most out of your day. If you spent time in the Park the day before, this full day is even easier. 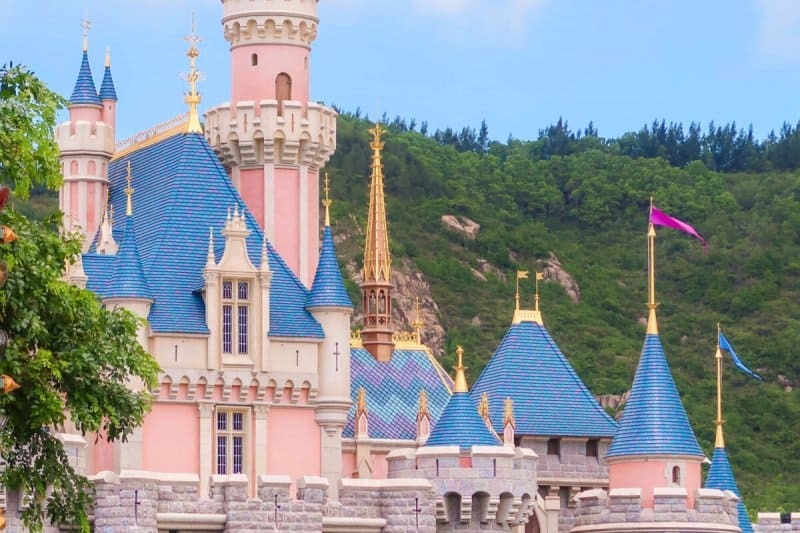 To perfect your strategy, study our Ultimate Hong Kong Disneyland Trip Planning Guide. Once you’ve completed your wonderful day at Hong Kong Disneyland. It’s time to spend the day in the city of Hong Kong! The city of Hong Kong deserves more than one day to experience but you’re still able to see a lot. 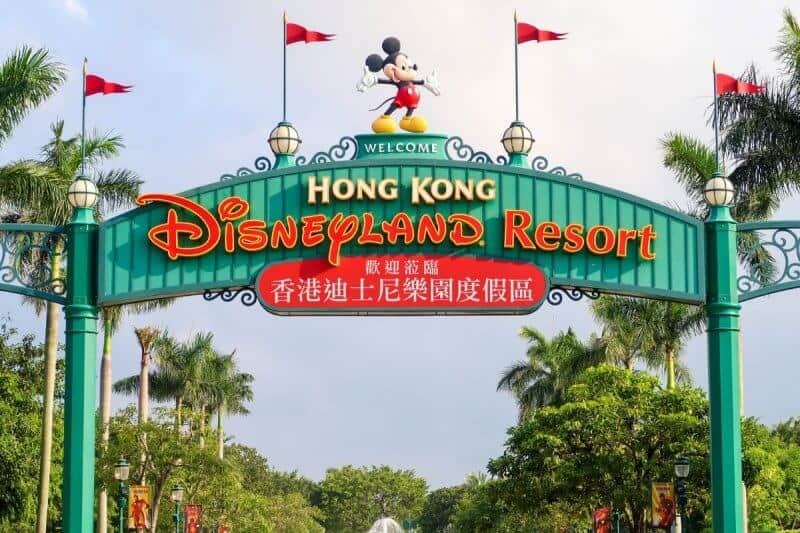 Hong Kong Disneyland Resort is close to the airport so it’ll take you about 30-minutes to take the train into the city. I recommend buying the Nomadic Matt’s Guide to Hong Kong by Nomadic Matt (ebook or Kindle) for an easy-to-read guide. I use this each time I visit Hong Kong to see what I missed. On the fourth day, leave for Shanghai in the late morning. The least stressful way is taking a taxi from your hotel to the Hong Kong International Airport. A taxi costs about HK$200 (US$25) and is cash-only (in my experience). If you want to spend the rest of your Hong Kong Dollars then head on over to the Hong Kong Disneyland stores at either terminal before your flight. The stores carry a small choice of merchandise from the Resort. The flight from Hong Kong International Airport to Shanghai Pudong International Airport is about 2.5 hours long. Since it’s such a short flight, I’m not too picky about what airlines to fly with. I recommend Hong Kong Airlines, Cathay Pacific, or Spring Airlines. If you’re traveling with luggage, make sure to check the baggage fees. Once you get to Shanghai Pudong International Airport, you have to clear customs. If you got your Chinese travel visa in advance, then this is a breeze. If you’re doing the transit visa, this is the most stressful part of the trip. I can’t emphasize enough to read this section of our travel guide about transit visas. If you arrive unprepared you risk not being allowed into the country (you may be stopped in Hong Kong before boarding the plane too). The second part of your Disney Parks in Asia trip takes you to the newest Disney Park, Shanghai Disneyland. Behold the beauty of the Enchanted Storybook Castle. Shanghai Disneyland is a massive Park and it warrants at least 2-days to experience without feeling rushed. There are a few ways to get to the Resort from the airport. For a Disney Hotel I recommend the Toy Story Hotel or Courtyard By Marriott for a non-Disney Hotel nearby. If you’re in the mood to splurge then the Shanghai Disneyland Hotel is an excellent choice. Pro Tip: Be mindful of taxi scams, even at the airport. Only use taxis at the taxis stand (follow the signs to the first floor and you’ll see armed guards). Have your hotel address written in Chinese. There’s a good chance the driver won’t speak English. I recommend having RMB¥400 (about US$60) per adult per day in cash. Just like Hong Kong Disneyland, you are able to use your credit card inside Shanghai Disneyland for many purchases (including food). When you’re in the city, it’s hit or miss depending on where you go. Public transportation requires cash. With two full days at the Park, you’re able to see almost everything (including Disneytown). The most complicated part is how to use the FastPass system and know which rides to experience first. 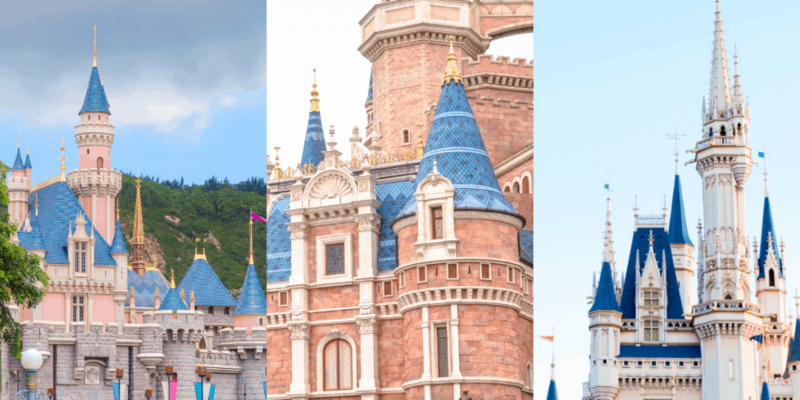 Read our best rides and FastPass guide to Shanghai Disneyland to create your strategy with our tried and tested method. Also, make sure to not make these mistakes (I’ve done all of these), that way your days are much easier. Our Ultimate Guide to Shanghai Disneyland gives you everything you need to know about this wonderful Park. After you’ve conquered Shanghai Disneyland, it’s time to spend a day in the bustling metropolis of Shanghai. The city of Shanghai has a lot to offer and you’re able to easily fill up your day. I recommend heading to The Bund (Lujiazui Metro Station), which is about an hour away from Shanghai Disney Resort on the metro. Here you’re able to see the large skyscrapers and beautiful historical buildings along the water. Here you’ll also see one of the Disney Stores in Shanghai. The Shanghai World Financial Center skyscraper is 492 metres tall and is worth going up to the top. The only downside is, if the smog is particularly bad, you won’t see much. Afterward, in the early evening, walk over to Nanjing Road for an endless choice of restaurants and shopping. Another option is making the trek to Zhujiajiao Water Town. It’s about 1.5-hours on the metro from the Resort. It’s a fascinating area and experiencing an ancient aspect of Shanghai balances all your Disney activities. Finish off your day with Disneytown once you get back to Shanghai Disney Resort. The next morning, it’s time to get to Tokyo (choose a late morning flight if possible). Ask the front desk to call you a taxi (they’ll get you a reputable one). 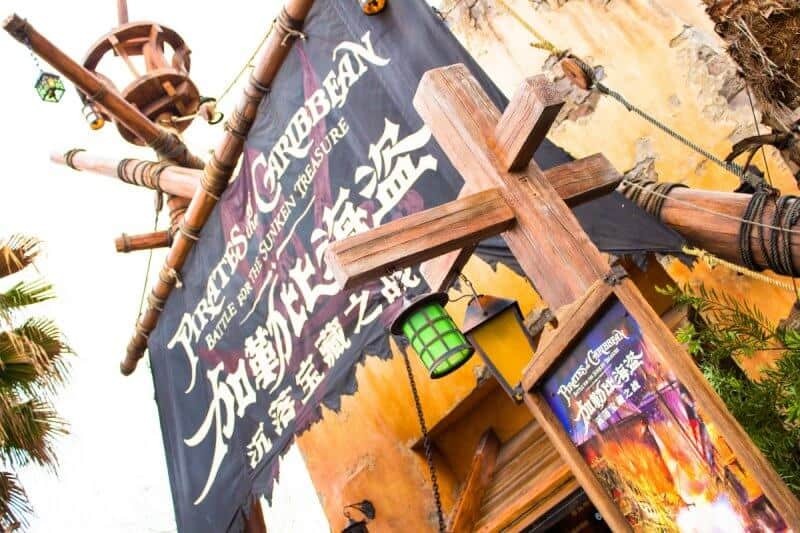 The Cast Members should give you a note indicating about how much the ride costs (about RMB¥180 or US$25). If they don’t, ask for one. This is to prevent any issues with being overcharged (it does happen). The flight is about 2.5 hours from Shanghai Pudong International Airport to either Narita or Haneda Airport. 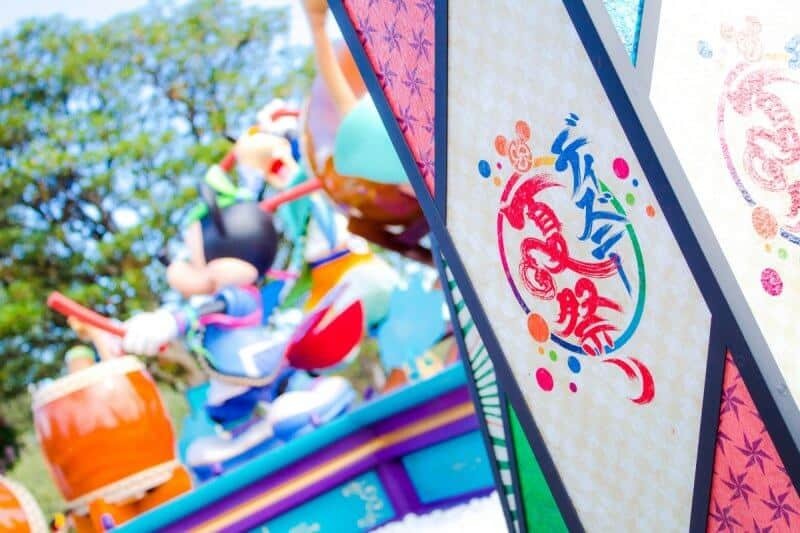 Tokyo Disney Resort is the last section in our “How to visit all Disney Parks in Asia” guide! I’ve saved the absolute best for last. Once you arrive at either Narita or Haneda Airport, the easiest way to Tokyo Disney Resort is taking the Airport Limousine. 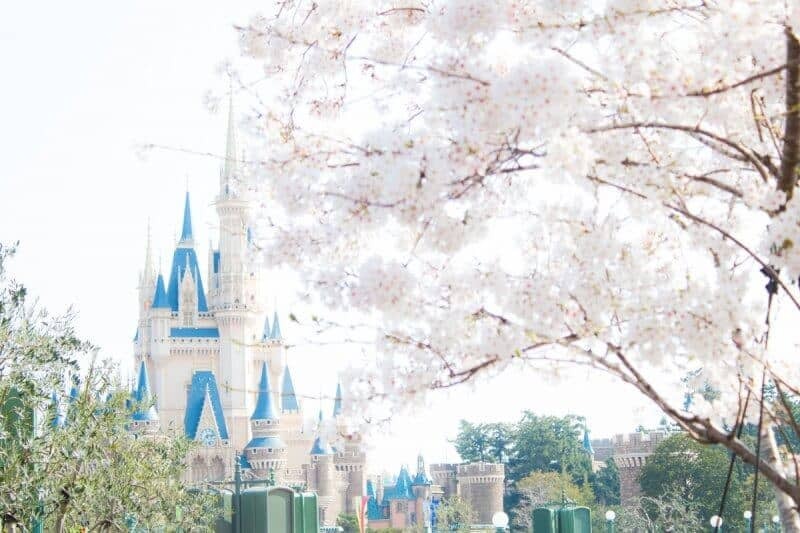 Spending 4-days is what most Explorers do at Tokyo Disney Resort. 3-days is also doable if you want more time in Tokyo. Tokyo Disney Resort Hotels are on the expensive side (compared to Hong Kong & Shanghai). If you’re wanting to save a bit of money, then I recommend the Hilton Tokyo Bay hotel that is an Official Tokyo Disney Resort Hotel on Resort property. I recommend having about JPY¥5000 (US$45) per adult per day in cash. While at Tokyo Disney Resort, you’ll be able to use your credit card for most transactions, but small food carts and monorail tickets are cash only. Once you go into the city, it’s hit or miss if shops accept credit cards. During your trip to all the Disney Parks in Asia, you’ll see fabulous decorations. Like these are Tokyo Disneyland. 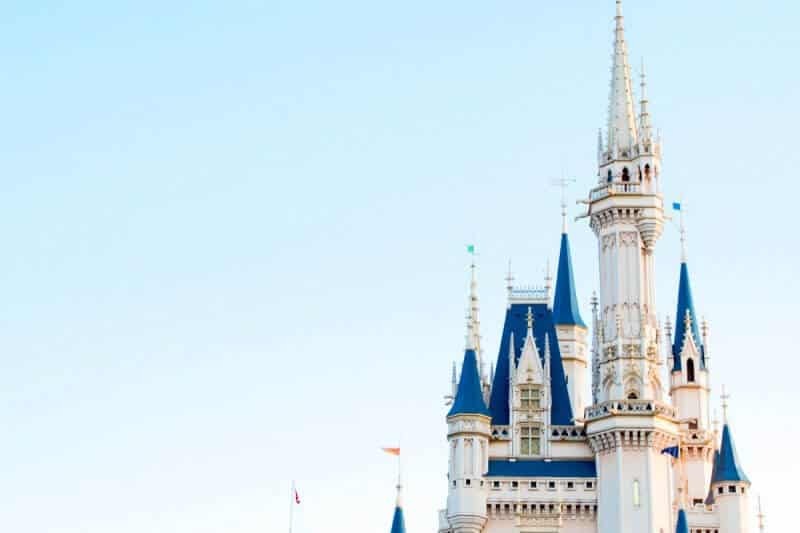 There’s a ton to know about Tokyo Disney Resort, so I cannot recommend our premium e-book travel guide enough. You’ll learn everything from what to eat, what to do, how FastPass works, the best rides & entertainment, and even a detailed 4-day itinerary. We also have a free travel guide too. Tokyo in itself is massive and you’re able to spend months (even years) and not even begin to scratch the surface. For simplicity sake, I’ll list a simple itinerary for the 2-days. For more in-depth reading our Ultimate Tokyo Travel Guide has everything you need. There you have it, Explorers, how to visit all Disney Parks in Asia! While this itinerary won’t suit everyone, it’s a great starting point to map out your dream vacation. If you’ve done the trifecta of Disney Resorts in Asia in a single trip, share your itinerary with me in the comments! It’ll help others see what Explorers such as yourself have done. It’s always great to get another perspective. I did this trip in 2018 in our Disney Asia Tour. I’ve edited it the itinerary based on what I learned during that trip. Watch all our vlogs on YouTube. Also, check out our podcast episodes to help with your planning. Now to find someone to go with! Maybe you’ll offer a tour again soon. Can you give me/us a “rough estimate” of what it cost you for All of The Above, minus the air fares? Everybody would obviously come from different countries and/or directions, so I took that into consideration. But still, I am interested in some cost for you, however roughly calculated, thanks!